« yard birds make a house a home. 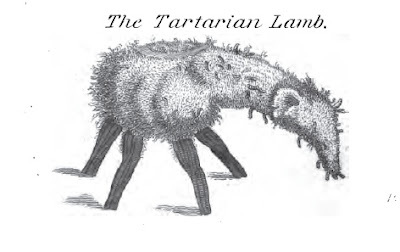 So much cuter than that creepy Scythian Lamb–but still the same “vegetable monster” (E. Chambers, Cyclopaedia). cute? it looks like an undead rat that really has to pee! Apparently, it’s a tree root. that wolves like to eat.